A special report, released on May 29, points out that Missouri’s “Payday Ballot Initiative” is an effort by special interest groups to circumvent the legislature and mislead the public. 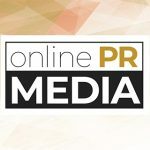 Online PR News – 04-June-2012 – Jefferson City, Missouri – A special report presented this week by Stand Up Missouri asserts that Missouri’s “Payday Ballot Initiative” is an effort by special interest groups to circumvent the legislature and mislead the public. “Although the initiative is claimed to be an effort to protect Missourians from payday loans,” the report states, “it's simply another example of a special-interest group taking advantage of the system.” The report points out that the “misnamed initiative” would actually eliminate all small-dollar lending in the state, including “an important small-dollar lending option for consumers in Missouri—traditional installment loans (TILs).” Although TILs are fundamentally different from payday loans, these traditional loans would also disappear from the state if the initiative passes. On April 6, the Circuit Court of Cole County found that the so-called “Payday Loan Initiative” ballot title was indeed likely to mislead voters, because it failed to accurately assess its economic impact on Missouri by disregarding its detrimental effect on traditional installment lenders and other safe and affordable credit options. In his ruling, Judge Daniel R. Green vacated the petition used by the initiative’s proponents to gather signatures for the ballot initiative. The Missouri attorney general is currently appealing Judge Green’s decision. Missourians have relied on traditional installment loans as a safe and affordable option for personal and household credit for over 50 years. If the initiative goes on the ballot in November and passes into law, TILs will disappear from Missouri and with them, a vital credit option for over 18,000 Missouri consumers. Stand Up Missouri is a nonpartisan coalition dedicated to protecting access to safe and affordable traditional installment loans (TILs). For over 100 years, Americans have relied on traditional installment loans as a regulated and responsible option for personal and household credit. Especially in these times of economic uncertainty, it doesn’t make sense to eliminate access to the credit provided by these important loans. And yet Missourians’ access to TILs is being jeopardized by a ballot initiative currently being reviewed by a Missouri court. If this initiative makes its way to the ballot in November and passes into law, TILs will disappear from our state. Losing this vital credit option will hurt individual Missourians, families, and the state economy—and result in lost jobs and millions of dollars in lost revenue for small businesses. Stand up Missouri is working to educate Missourians about their right to informed credit choices and continued access to safe and affordable traditional installment loans. Stand Up Missouri does not represent payday lending or payday interests. The coalition does not accept funding from any organization associated with payday lending and strictly represents the interests of traditional consumer installment lenders.